Organization Summary We are the leading non-profit organization promoting the high standards and values that Lean Six Sigma operates by. We take pride in our discipline, stemming back from the early days when the foundations of Six Sigma were established at Motorola. ISSSP promotes best practices throughout the discipline. 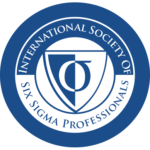 The overriding mission of ISSSP is to bring together Lean Six Sigma professionals from all over the world. Organization’s involvement/interest in Operational Excellence Raising and maintaining a global standard is one of the main goals of ISSSP. We partner with leading organizations, professionals and consultants worldwide, promoting ideas and standards that help businesses respond to challenges that arise. By upholding a global standard and following certain principles, this will ensure that Lean Six Sigma remains the quality methodology that it is known to be.